Clearly communicating to your users is equally as important as design and UX. Looking at digital content as a marketing communications tactic, without a unifying strategy to build and deliver it as demand for it grows, is a recipe for missed opportunities, mixed messages, high costs and big risks to the brand. Using natural language helps with content consumption and SEO. Think like a user and use words they will be searching for. 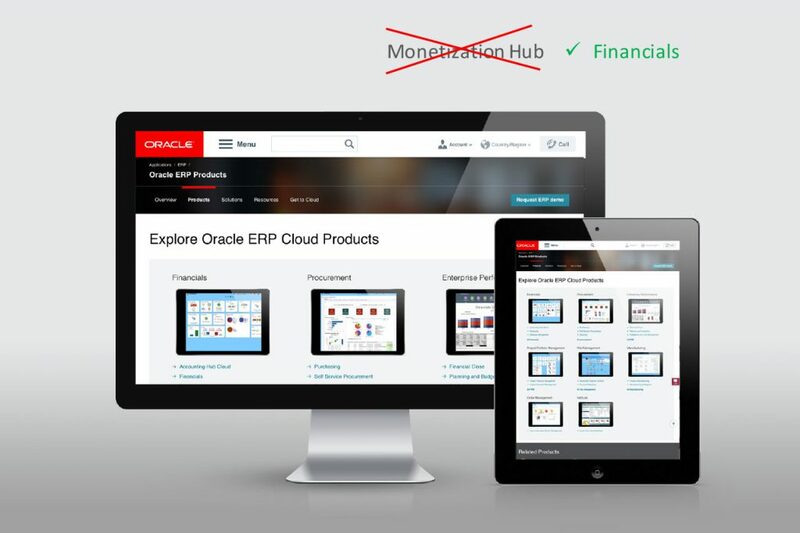 For example: If the product is called “Oracle Financials”, then don’t use “Monitization Hub” as the product header. Attracts customers through search, engages them, and builds trust. Reach the customers you want without being blocked. Ad blocking software is used by 25% of Internet users. In 2016, 70 million Americans used an ad blocker, a jump of 34% over 2015. That figure will grow another 24% in 2017 to 86 million people. Helps consumers remember a brand and encourages them to engage more personally with the company. Increases search visibility and authority.